Countless tufts of algae grew like cl.u.s.ters of thick clouds that eyes couldn't see through. It was troublesome for the Soul Consciousness to extend through these cl.u.s.ters. This was the last base that Emperor Sea Shark and Shen Ren had established. It was also the most mysterious shelter by the edge of the Sea of Annihilation. With terrifying dangers nearby, not many people dared to visit this deathtrap. Thus, Emperor Sea Shark and Shen Ren thought that it would be the safest shelter. The closer they got, the more restless and worried Emperor Sea Shark and Shen Ren became. They had checked around ten shelters and sent their fellows there to avoid the slaughter. However, they found no alive members. The tragic scenes hammered their hearts and made them bleed in agony. They had hope for this last base. If this place was also raided, they would be attacked so badly that they could even collapse directly. While slowly advancing in the field of algae, Shi Yan also became tense. He released his Soul Consciousness to sense. "There's life energy!" His eyes brightened. 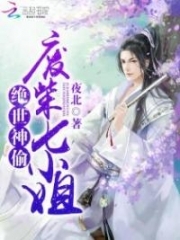 Shi Yan became sober and hissed, "Many people are gathering!" As he cultivated Life power Upanishad, his sensing ability was more accurate than Emperor Sea Shark. Hearing him, the gloomy gleam in Emperor Sea Shark and Shen Ren's eyes subsided. They cheered up. "Go!" Emperor Sea Shark let out a low shout and moved like a sharp sword thrusting into the area of thick algae in the center. Shortly after, a strange area came to their views. It was the center of the algae field where there were so many fungal plants. They were illuminating radiantly like lights. And, the s.p.a.ce above their heads still had a lot of algae leaves like thick clouds that could hinder the eyes and the Soul Consciousness. This area had many lamp-like fungal growths and vivid red coral with pieces of gla.s.s scattered, sparkling beautifully. Many fellows of the Sea Clan were packed in this area. They all looked sorrowful. Many of them had cut limbs and most of them looked desperate, their eyes blank while facing the sky. The dispirited, heavy air filled the entire place and made people shiver. The Sea Clan warriors were all in low spirits. They didn't cultivate and just sat idly, waiting for death. Datuk and Hu Jiao who used to fight Shi Yan were in this group. The warriors with strong competencies gathered by them. With a solemn face, they were discussing something. They looked like they were about to risk their lives. Shi Yan, Emperor Sea Shark, Shen Ren, and Mei Ji moved through the algae leaves and quietly entered the area. Looking at his low-spirited fellows, Emperor Sea Shark looked gloomy. He knew how harsh and terrible it was for his people to endure the torment. His sigh was like a thunderclap in this area that woke some warriors nearby. They jolted up as if they were encountering enemies and screamed, "They're here!" That's what it had to be. They thought that the chasers had finally here, so they screamed when they heard a strange commotion. Then, they turned around. With the sharp weapons in their hands, they were ready to have a deadly battle. All the members of the Sea Clan in this area, whether they were the elderly or kids, wore resentful faces and clutched their weapons, showing a murderous aura. "Sir Shen Ren! Sir Shen Ren!" All of a sudden, the entire area was boiling. The members of the Sea Clan had tears in their eyes. They finally saw hope in desperate straits. They cried while the women sobbed and whined. The cries created a chain reaction and expanded to all the members. Whether they were the children, the elderly, or the bravest warriors, they were all weak like helpless kids who finally found adults that could help them out. They cried to vent their indignation. Seeing the members of the Sea Clan crying, Shi Yan and Mei Ji also wore gloomy faces. They understood clearly that if Emperor Sea Shark hadn't helped them at that time, they would have endured Ferrell's sinister deeds. Also, because Emperor Sea Shark had helped them, he had brought his members a genocide. Hu Jiao and the blood-iron warriors of the Sea Clan came and kneeled in front of Emperor Sea Shark. Hu Jiao said, "We didn't fail you. We have protected the Crystal Palace. However, it's very dangerous around; we have to keep it in another area." "Tribal Oldie! Please take revenge for us!" Datuk's eyes were bloodshot. He gritted his teeth until blood trickled down the corners of his mouth. He grunted with deep resentment. "Ferrell and the Soul Clan had destroyed our shelters. Half of our population was killed. Please seek justice for us!" "Please take revenge for us!" All the members of the Sea Clan cried in agony as if they wanted to cry their hearts out of grief. "I got it. I know it. I will. I definitely will…"
Emperor Sea Shark had tears lingering in his eyes. He screamed his most solid promise that was imprinted in his soul and would never fade. "Datuk, what happened?" Shi Yan walked to him and asked in a soft voice. Datuk looked at him, his face so cold, but he said nothing. He knew that everything that happened was related to Shi Yan. Without Shi Yan, the Sea Clan wouldn't have had to endure such catastrophes. Seeing Datuk with discreet resentment, Shi Yan rubbed his nose and sighed. He didn't ask further as he understood the hatred the Sea Clan had for him. "Datuk, don't be impudent. It's our choice. We owed him. We must pay back. It's not directly because of Shi Yan," shouted Shen Ren. He pulled himself together and then asked, "What happened after all?" At first, due to Montecie's slaughter, Ferrell, Ricardo, and Neptune had escaped the Sea of Annihilation. Although they had been aimed at the whole time, they still survived. They just needed to give up some benefits. After Montecie had left the Sea of Annihilation, Ferrell and Ricardo didn't return. 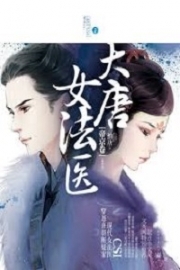 However, because they had joined the five clans, their subordinates had swaggered around and forced Datuk and Hu Jiao. They had to restrain themselves a lot and their territory was reduced. During that time, they hadn't encountered any catastrophe. This was until Shi Yan invited Montecie, Hiro, and Emperor Sea Shark to Desolate Territory. To find the entrance to Desolate Territory, the five clans had sent their troops to the Sea of Annihilation. Ferrell, Ricardo, and Neptune had also returned since the forces they had gathered were strong enough to not worry about Montecie's power. They weren't afraid of Montecie, so they began to find Emperor Sea Shark to take revenge. Neptune and Ferrell had launched their operation. 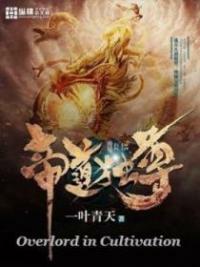 They sent troops of the Soul Clan and Ancient Monster Clan to the seabed to hunt Datuk and Hu Jiao. They did that to force Emperor Sea Shark to show himself. They even wanted to kill Emperor Sea Shark altogether. Datuk and Hu Jiao knew that Emperor Sea Shark had gone to Desolate Territory. They couldn't contact him, so they had to avoid the danger. Thus, they had to run away the entire time. The Sea Clan's shelters were raided until they retreated to this last resort. They finally got some time to rest. However, they were still edgy as they were afraid that Neptune and Ferrell's warriors would come to hunt them down to the last member at any minute. It was also the reason why they screamed in panic when they felt someone coming. They thought that their enemies had finally come to take their lives. "Neptune!" Emperor Sea Shark gritted his teeth. "Ferrell!" Mei Ji also sneered, "I have to find him too! He killed a lot of my subordinates. He killed Yu Lian! Does he think he can resist our wrath if he comes to the Ancient Monster Clan? Harrumph!" "Neptune and Ferrell came to the Sea of Annihilation personally because of the territory entrance. It seems like they got some harvest…"
"What do you mean?" Mei Ji reacted fast. "Excepts for the warriors from Desolate Territory, only the Devouring Clan knows the territory entrance. As the Devouring Clan failed in Desolate Territory and I got the Power Upanishad Symbol Tower, the Devouring Clan wouldn't let it slip away easily. 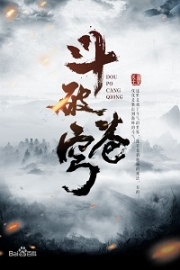 I think the Devouring Clan will disclose the precise location of the territory entrance," a.s.sumed Shi Yan. "It's true. Otherwise, the hotshots from the five clans wouldn't gather in the Sea of Annihilation altogether," Mei Ji nodded. Shi Yan pondered for a while, his eyes raking through Datuk, Hu Jiao, and the others. After a long moment, he said, "Precursor Emperor Sea Shark, the urgent matter to do now is to take them to the Endless Sea first. We have to ensure their safety first. About taking revenge, I can commit that I won't just stand and stare!" "You?!" Datuk snorted, "You're at the Immortal Realm. How can you manage that? Can you?" "Shut up!" Shen Ren shouted and then talked to Emperor Sea Shark, "Tribal Oldie, deliver the kids to the safe place first. We will take revenge later. What do you think?" Emperor Sea Shark wasn't foolish. He knew what was wise to do. He nodded and then said, "Do as Shi Yan said. We will take our fellows to the safe area first. The Sea of Annihilation will become chaotic soon. The Great War will happen at any minute." Then, Emperor Sea Shark, Shi Yan, and Mei Ji escorted the Sea Clan's remaining members. Emperor Sea Shark used his Territory Ancestor Realm power to transport them to the territory entrance to Desolate Territory. So many black brocade flags with drawings of brutal souls and evil ghosts flew to the front of the algae area. Hu Jiao observed for a while and his face turned icy as he grunted. "It's them!" "It's the Soul Clan and the Ancient Monster Clan's troops that had surrounded and destroyed our fellows!" Datuk gritted his teeth like a wounded wild beast, his face resentful. "Kill them all!" hissed Shi Yan. You're Read God Of Slaughter Chapter 1508 The Light In The Desperate Straits... online at NovelOnlineFull.com. You can use the follow function to bookmark your favorite novel ( Only for registered users ). If you find any errors ( can't read,broken links, can't load photos, etc.. ), Please let us know so we can fix it as soon as possible. And when you start a conversation or debate about a certain topic with other people, please do not offend them just because you don't like their opinions. You're reading God Of Slaughter. This manga has been translated by Updating. Author(s): Ni Cang Tian,逆蒼天. Already has 641 views. Current Time is 23-Apr-2019 10:51:57 AM.